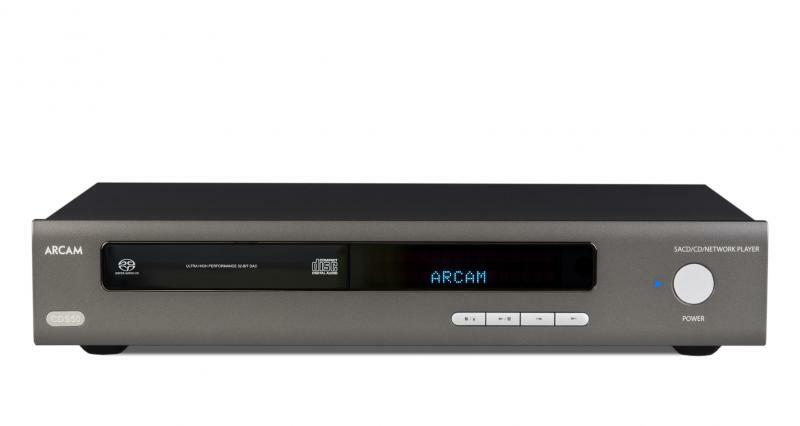 The CDS50 is ARCAM’s all new audio disc player with UPnP and CIFS streaming up to 24-bit/192kHz. This player once again raises the performance bar and is undoubtedly ARCAM’s finest audio disc spinner to date! The boldness of that statement is backed up in part with the employment of the ESS Sabre 9038 reference DAC technology as well as a high precision re-clocking system and a specially designed power supply. The player has single-ended and balanced outputs and also comes with a brand new learning backlit infra-red handset. The product can be controlled over IP and can be controlled by ARCAM’s IOS app, Musiclife . The CDS50 also has 2x DAC inputs, 1x optical and 1x SPDIF for even greater flexibility!